While having heard about Tolkien growing up, I had never read any of his books until after I married someone who'd read the Lord of the Rings dozens of times. 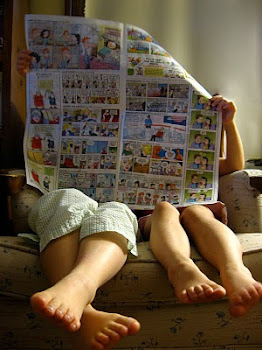 In an effort to understand my husband's fascination with the series, I jumped in and tried to find time during my son's naps or after he'd gone to bed to read the trilogy (I can't recall if I read the Hobbit at that time or if it was later). 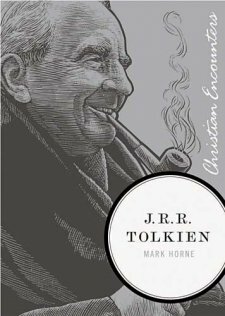 I had never read anything about Tolkien himself and was therefore anxious to read the Christian Encounters biography about him. Not an exhaustive biography (many others have done that job quite well), Horne's biography has taken a very prominent figure in literature and made his life accessible to the masses in just 130 pages. While I enjoyed reading The Lord of the Rings, I wouldn't consider myself an avid fan. Seeing a bit of the man behind the legendary work, brought him into the realm of being human like all of us. He was plagued with the same challenges and pressures that we all face in one form or another. Success was not instantly his and whatever acclaim he gained was earned through a great deal of hard work. I was surprised to learn that it took twelve years to complete the Lord of the Rings and that Tolkien's perfectionism drove him to write and rewrite manuscripts repeatedly. Quite a feat when you consider he didn't have the advantage of word processing! This was a marvelous introduction to his life hitting on the main events and the primary people who influenced his life. I was somewhat saddened to learn that his initial interest in George MacDonald's works, faded over time and that his close relationship with C.S. Lewis significantly cooled over time. Yes, Tolkien was human and Horne shares the good right alongside the not so flattering. Horne has done a marvelous job of taking an incredible author and shedding light on his remarkable career in a fast-moving condensed way. In addition to the notes of his sources, Horne also includes a brief summary about five books he found particularly helpful. For the serious Tolkien fan, any one of these would provide additional insight into the author's life and works. For additional reviews about this book, visit the Book Sneeze website. You can purchase Mark Horne's book, J.R.R. Tolkien directly from Thomas Nelson for $12.00. Disclaimer: I was provided a free copy of J.R.R. Tolkien as a part of Thomas Nelson's Book Sneeze program for the purpose of review. No other compensation was received. Thanks for stopping by my blog. The color of our school room is Apple Green. I can't remember the brand, but I'll look around and see if I still have it. Hope you have a wonderful weekend!